We’ve just farewelled one Japanese superstar with Naomi Osaka winning the Australian Women’s Open tennis. Now another Japanese hero is ready to hit our shores with the exciting news that Ryo Ishikawa will contest next month’s ISPS Handa Vic Open at Barwon Heads. 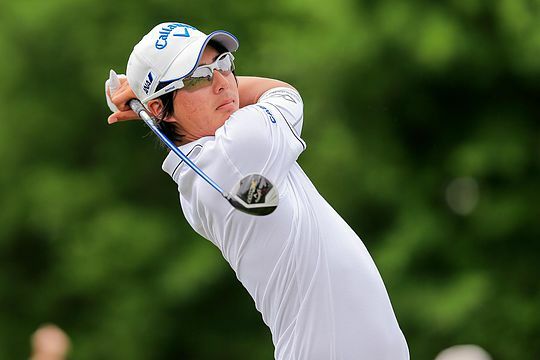 Ishikawa is an absolute superstar in Japan, even though he has failed to live up to the hype on the US PGA Tour, where he is yet to register a win. Now 27, and still one of the hottest properties in Japanese sport, Ishikawa will draw unprecedented interest at the 13th Beach Golf Links when he tees it up there from February 7-10. He has not played in Australia since the 2016 World Cup at Kingston Heath; He was also a member of the International team in the 2011 Presidents Cup at Royal Melbourne. He has won 14 times on the Japan Tour and reached as high as 29 in the world rankings. “I’ve been to Melbourne before, but didn’t have time to see any more of Victoria, so I’m really excited to see the Bellarine Peninsula,” said Ishikawa. Golf Australia operations boss Simon Brookhouse was thrilled that such a magnetic player was coming to the Vic Open. “If you’ve ever been to a tournament where Ryo is playing and watched the throng of attention he attracts from Japanese fans and media, you’ll know exactly how big a deal this is,” Brookhouse said. It’s another great coup for the concurrent men’s and women’s tournament which, for the first time, will be jointly sanctioned by the LPGA Tour, ALPG, European Tour and ISPS Handa PGA Tour of Australasia. Brookhouse also announced that New Zealand star Ryan Fox as well as Belgium’s Nic Colsaerts, Ireland’s Paul Dunne and Italian Matteo Manassero were among the European Tour stars who will also play the Open.